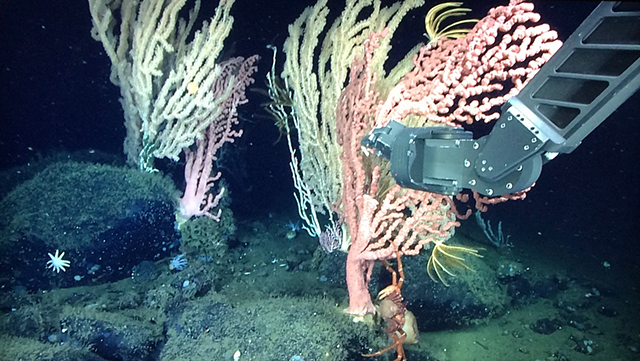 The overarching goal of this expedition is to study and understand ecological processes and ecosystem functions of the deep-sea corals and sponges at Sur Ridge. 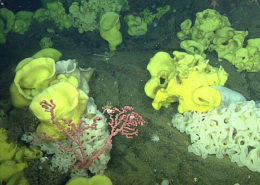 Deep-sea corals and sponges are foundation species, meaning they create the 3D habitat for other animals in the community and may affect the surrounding water. 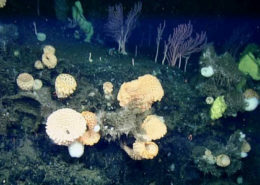 Measure metabolic rates of deep corals at Sur Ridge using the Benthic Respirometer System. Measured metabolic rates of deep-sea sponges in situ at Sur Ridge using DeepPIV and an optical oxygen sensor. Revisit coral pieces that had been cut and transplanted elsewhere to study the potential for deep-sea coral restoration. Study current direction and speed, predation, and other ecological interactions to understand what affects the survival of the corals and sponges. What new questions came from this expedition? 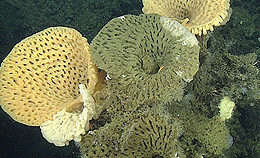 There is still so much that we don’t know about what the corals and sponges need to thrive at Sur Ridge. We observed some reproductive corals (they had eggs within their tissues) and would like to know the cues that trigger corals to release gametes into the water. 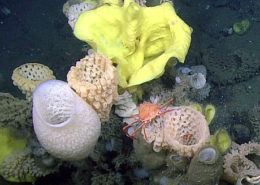 We would also like to know why some regions have more sponges while others have more corals. Maybe it is due to the surface they are growing on or water flow conditions- we do not know. What’s next? How are you processing data? Some experiments, like the coral transplants and our observations of ecological interactions, will require repeat visits to Sur Ridge on later cruises. We will also carefully analyze photos we took of the corals this time to understand how many polyps there were, whether they were reproductive, and to take various measurements of their dimensions. Several sponges we collected during the cruise need to be identified to species, which will involve work under the microscope. There is also plenty of data from the instruments we used (Benthic Respirometer System, DeepPIV, oxygen sensor, acoustic doppler current profilers , and a conductivity, temperature and depth sensor) to keep us busy.